Mold spores exist almost everywhere. They are present in the air and are invisible to the naked eye. Spores can enter your home or business through doors and windows, AC/heating systems, and may even be carried indoors on shoes and pets. These microscopic particles can be found in dust, grout, around plumbing fixtures and on virtually any surface. Outdoors, molds are important in our environment because they decompose organic material. It is when mold is given the proper environment to grow in our indoor living spaces that it becomes problematic. Not only can mold damage buildings and furnishings but, it can impact your health. Mold spores can travel throughout a structure and spread potentially harmful particulates, which can lead to a much more extensive and costly problem. 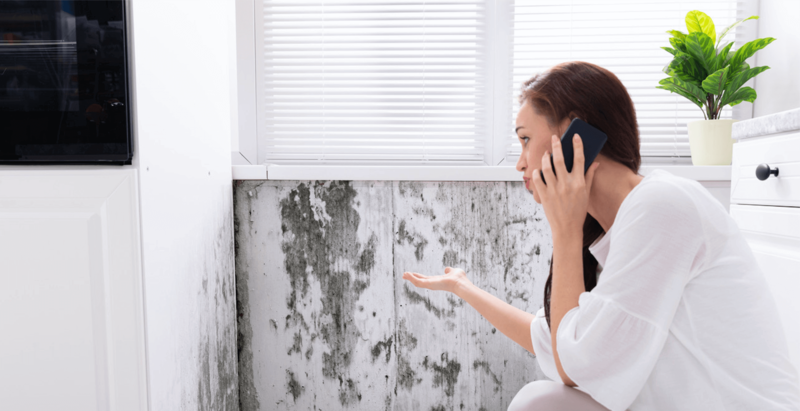 Mold thrives on moisture and can quickly grow into colonies in as little as 48 hours after a flooding event, pipe break, water heater leak, etc. It is important to identify the source and address water intrusion immediately in order to prevent a more serious problem. This is why Steam Green Inc offers 24/7 emergency water extraction services. Our technicians are IICRC certified in water restoration and applied structural drying. We follow the IICRC S-520 Guide for Professional Mold Remediation. Steam Green recognizes the health hazards of sharing air space with toxic mold but, also views mold remediation from a holistic viewpoint. 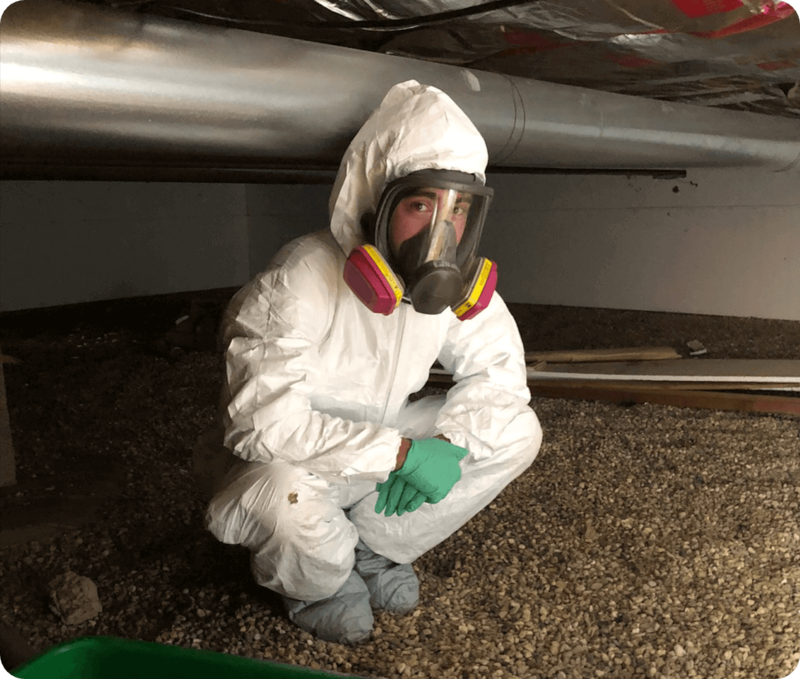 We will inspect all areas and collect air samples prior to and after remediation to assess the condition of your air and determine the level of contaminants. These samples are sent to a third party lab and signed off by an industrial hygienist who provides a report comparing your air quality to IAQ standards. Mold is typically thought of as an indoor air quality hazard but, other contaminants such as bacteria, pet dander, dead skin cells, VOCs from cleaning products and other particles share the same space and grow alongside mold which can contribute to a “sick” environment. When Steam Green remediates your home or business for mold, we not only address the obvious mold contamination but, we treat the entire living/working space with a micro-cleaning process that cleans the air thoroughly. We treat the air with an unscented proprietary food-grade solution which acts as a non mechanical air scrubber to ensure healthy air quality. Our Whole House Protocol not only removes mold spores but, also sanitizes all areas. Treating mold with an antimicrobial kills mold but, because mold can still produce mycotoxins when dead, it is important to completely remove it and apply a mold inhibitor that seals the surface and prevents future mold growth. According to the EPA, you can clean the mold yourself under these conditions...the area affected is not larger than 3ft x3ft, the HVAC system is not affected, there is no sewage/contaminated water and you have no mold related health conditions. https://www.epa.gov/mold/mold-cleanup-your-home Anyone can remove mold but, it is important to realize that by disturbing mold spores, you may cause them to spread and affect other areas of your home and this may create new mold problems. Steam Green is certified to use a proprietary cleaning system that is food grade and non toxic because we believe that bringing harmful products into your home while remediating a harmful toxin from your home doesn't make sense. Our process is different than other companies because we go beyond just treating the mold, we treat the entire home. We don't just cover up or seal the mold, we remove it. We can typically remediate in just one day so, there is minimal disruption of your property. Our techs are required to maintain IICRC certification and we follow the IICRC S-520 Guide for Professional Mold Remediation so that you can rest assured that you are hiring a knowledgeable and reputable company. According to the EPA, in most cases, if visible mold growth is present, it is unnecessary to test for mold type https://www.epa.gov/mold/mold-testing-or-sampling The industry standard dictates that when we see mold, we should remove it regardless of the type of mold. again and again when there is an emergency. According to the EPA, all molds have the potential to cause health effects. Molds can produce mycotoxins even when the mold is dead and this can trigger allergic reactions and even asthma attacks in people who are allergic to mold. Potential health concerns are an important reason to ensure that a home or work space is promptly and properly remediated when water damage occurs. Typically, homeowner insurance policies do not cover mold remediation unless it is proven that the source of the mold is from an area that they do cover. For example, if your water heater breaks and this creates a water damage problem which is covered under your insurance and then, mold grows as a result of the faulty water heater, this may be covered as the mold is a result of the “Peril” that they do cover. Insurance policies vary from property to property and while some will cover water damage, others do not. It is best to contact your insurance agent for clarification on your individual coverage. Steam Green Inc will work with your agent/adjustor regarding your claim. We will require a work authorization and retain your deductible to begin work.